A painting of 16th-century mathematician and occultist John Dee performing an experiment for Queen Elizabeth I has been hiding a dark secret. In preparation for its exhibition at the Royal College of Physicians, an x-ray of a painting by Henry Gillard Glindoni has revealed a surprisingly dark secret. 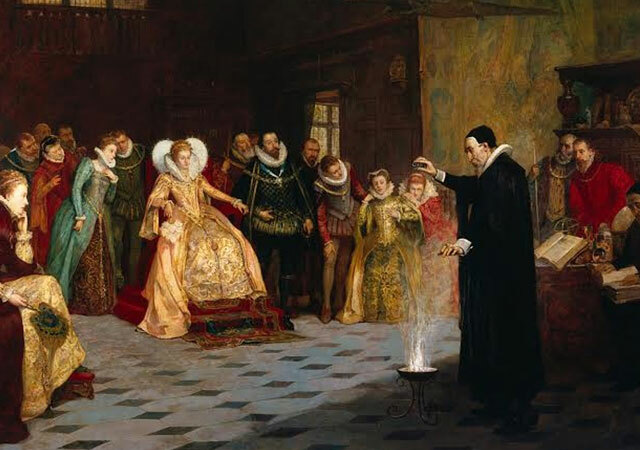 In the painting, John Dee, a man once known as “the Queen’s conjurer” performs an experiment for Queen Elizabeth I. What the x-ray revealed, however, is that Dee was originally standing in a circle of skulls. X-ray imaging of the stately Victorian artwork has revealed that Dee was originally surrounded by human skulls before the ghoulish image was painted over, probably because it was too odd for the buyer. But curators of an exhibition opening on Monday believe it sums up the conundrum of Dee: should we remember him as brilliant pioneering scientist, or as an occultist who thought he could talk to angels? 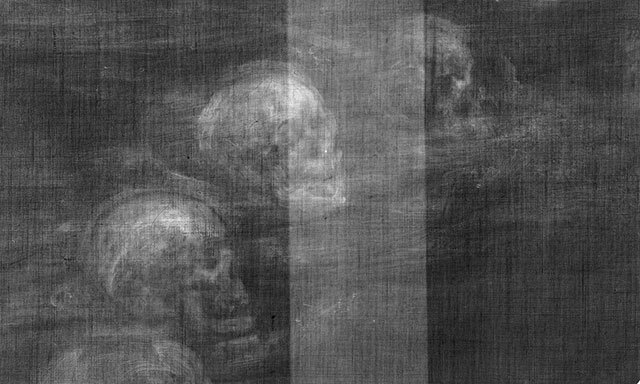 X-ray image of the circle of skulls hidden in the painting of John Dee. The exhibition Scholar, courtier, magician: the lost library of John Dee runs from January 18 to July 29 at the Royal College of Physicians. 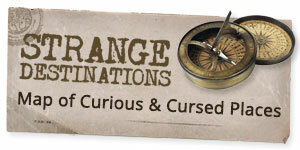 It includes a selection of Dee’s books with his personal notes scrawled in the margins, as well as his crystal ball and an obsidian magical mirror. Oh I’d much rather the original. It is the truth of who he was and what he did. It better represents the beliefs of the time. ^ that is a perfect idea and I agree 1000% percent! I like the idea of the circle of skulls, reflecting the circle of important watchers, with their own deaths ever present to bring their self importance down to common mortality.